3 Bedroom Semi Detached House For Sale in Hailsham, East Sussex for Guide Price £335,000. 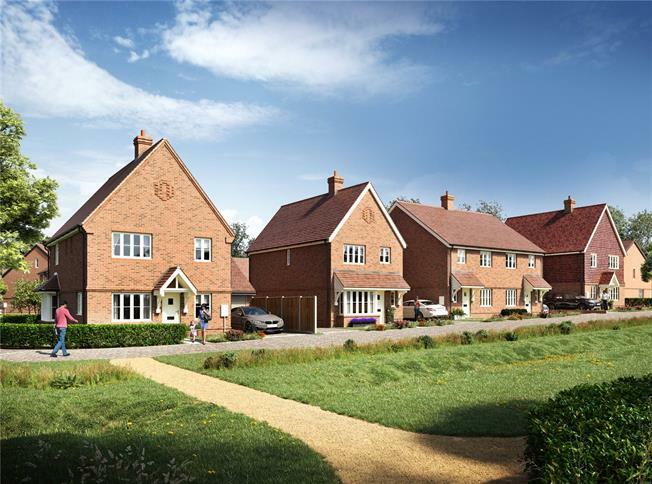 The Daisy is a 3 bedroom semi-detached property, designed to the highest modern standards at Ambersey Green. The rooms are light-filled and of excellent proportions, with direct access to the garden through French doors, maximising your enjoyment of the natural green surroundings. The kitchen/dining room is fitted with contemporary units with complementing worktops, with built-in appliances including an oven, hob, fridge/freezer, washing machine and dish washer. Stairs rise to the first floor, where there is a master bedroom with en-suite shower room and built in wardrobe. A further two bedrooms have built in wardrobe space and are served by a contemporary family bathroom.